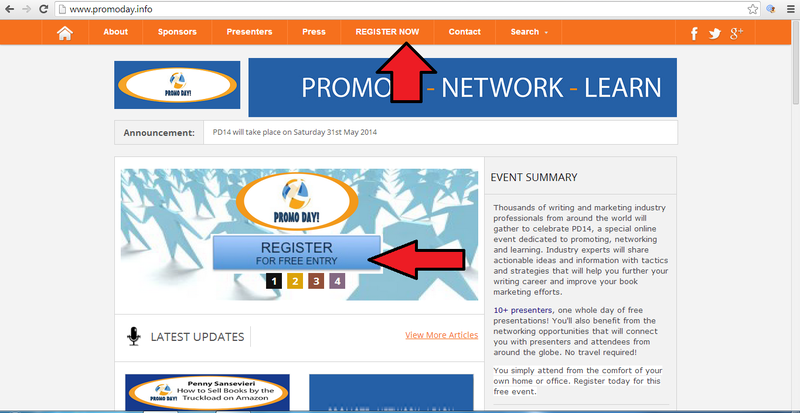 This year Promo Day takes place on Saturday 31st May. Yes. Attending the event is completely free and open to everyone. All you need to do is register via the website and you'll have access to the forums. Just click on the "Register Now" tab (you'll find it located on the navigation bar at the top of the page) and fill out the quick online form. Once you've registered you'll have access to the forums and be able to set up your profile (upload an avatar, add a signature to show on all your posts, etc...). Can I invite other guests to the event? Yes. The more, the merrier! Everyone is welcome at Promo Day. Who takes part in Promo Day? Writers, Authors, Publishers, Editors, Freelance Writers, Illustrators, Book Cover Designers, Virtual book Tour Companies, Virtual Assistants, Avid Readers and anyone else interested in the publishing industry and/or marketing. 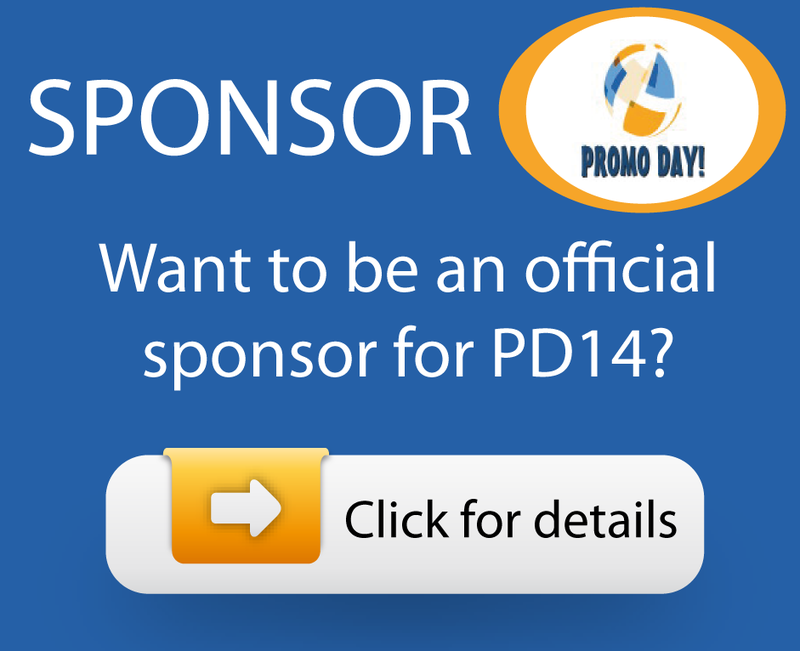 Go to http://www.promoday.info/p/sponsor-pd14.html Once payment has been made you can email your materials.